1.4 What Are Infrared Heaters and How Do They Work? 1.6 What to Look for When Choosing an Infrared Heater? 1.6.1 What Amount of Space Can be Heated? 1.6.8 Are these heaters safe? 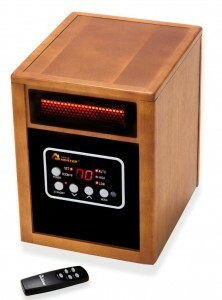 If a shiver is running down your spine, you may be in need of a good infrared heater. We’ve collected an assortment of the best heaters, experienced their powers and have written reviews on each. Make sure to read our reviews carefully, before making your purchase. Questions a lot of people ask is; Infrared Heaters Do they Work? You can read our in depth analysis. Each of these heaters requires a plugin, in order to access their power from an electric source. 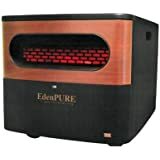 Most people, who purchase one of these, will undoubtedly select an electric heater, because the power source and these specific products are so readably available. The market is overloaded with these types of products. Many of them are well worth the price. When you browse the most reputable brands, you will discover those, such as iHeater, Optimus, Dr. Heater and Comfort Zone. From our research, we’ve found the iHeater and Dr.
Heater to rank as the best in the market, as these two have released some astounding products throughout the years. When examining the best indoor heaters of this variety, we discovered the DR-068 and the IH-1500W models to be the best. Ranking in terms of popularity, the propane varieties are the second most common. These heaters are frequently used in areas, where electricity is inaccessible, including sheds, patios, garages and generally anywhere outdoors. In terms of price, these specific models are usually a little more expensive than their electric alternatives, although they both operate pretty much the same. The price of operation will vary depending on the price of propane in your region. In order to figure out the specific price of operation in your general area, you should research the specific rates, within your vicinity. With this information, you should be able to make the appropriate calculations to determine whether or not the propane infrared heater would be more cost effective for you. 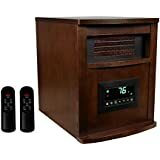 There are many people that will find that these heaters offer a much less costly operation, when compared to the sometimes-minimal savings from the electric space heater. Also, if you’re looking for something more portable, you will certainly find more convenience with the propane heater. And yet another benefit, these can be used during a power outage. When operating a non-electric heater, whether propane or kerosene, it is imperative to remember that these deplete the room’s oxygen, while releasing carbon monoxide into the air. Therefore, it is imperative to properly ventilate the room! This powerful little space heater operates with 5200 BTUs, which is capable of heating up a 1000 square ft. space. Overall, the modular design is built for durability, but there is an included 3-year warranty for added protection. The construction also utilizes galvanized steel, in order to ensure durability. According to the manufacturer, the heater is capable of eighty thousand hours of operation. 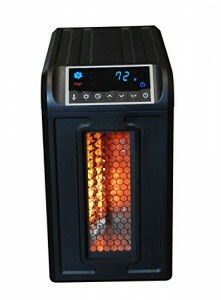 The heater is fitted with three individualized power settings, 1500w, 1000w and auto. It is also equipped with an electric thermostat. An energy saving mode is also available, if you allow the temperature to linger between 50 to 86 degrees F. Once this is set, the thermostat will force the heater to cycle on and off, in order to keep it around the desired temperature. If you’re looking for total convenience, you’ve got it with the included remote control. 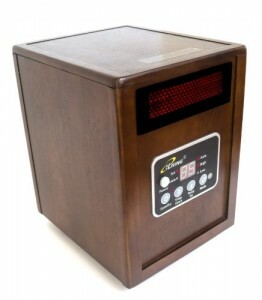 The Dr Infrared Heater utilizes a dual heating system, which is capable of improving the heat transfer. The heater is capable of mixing the quartz heat with convection heat, in order to heat up a space in a quick period of time. In order to provide the greatest safety, the heater is certified by UL. The unit is equipped with several safety features. Since it doesn’t have any exposed heat sources, it is completely safe around pets and children! Some people say this is the best infrared heater out there in the market. If the heater begins to overheat, it’ll automatically shut off. There is also a tip-over mechanism for added protection. Users of this heater have mainly left positive feedback and good ratings. The great features, along with the stylish design, make this one of the best infrared heaters on the market. 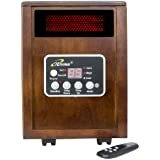 Read our Complete Review on Dr Infrared Heater Portable Space Heater. I love its small size, with a great heat at 1500 watts it’s defiantly one of the best in the market. 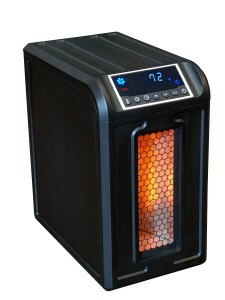 The amount you’re saving on electricity or gas with this infrared heater is incredible. The fan is quiet, you can hear it but it’s not noticeable after a few minutes. After about 15 minutes the entire living room was heated to 75 degrees, very efficient, great product overall. 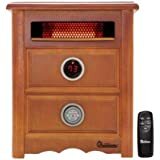 Lifesmart Meduim Room Infrared Heater w/Remote is the first heater from LifeSmart, which is equipped with a high heat output feature. The heater is capable of warm a space of up to eight hundred square feet. Generally, this is an excellent and efficient heater which could be considered one of the best infrared heaters, it’s capable of distributing great heat, evenly. 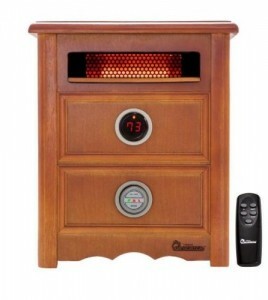 The heater utilizes three individualized Infrared Quartz Elements, which are wrapped in metal, to produce heat. In this manner, each individual element works as its own heat exchanger, which helps to output more overall heat. The Lifetime Air Filter is an extra bonus. Overall, the heater operates at 1500 watts, but there are three energy saving modes, including the Eco setting. When used in smaller areas, the unit can be used to heat up to 68 degrees. Within this mode, the heater will only work at 500 watts and can help save money. The design is extremely safe with a fireproof plastic cabinet. Molded handles for easy carry are equipped on both sides. Since the heater only weighs 12 pounds, it is possible to move it around fairly easily. Of course, it doesn’t stop there. The heater has some other helpful features, including a remote control and timer, which can help to configure the heater for twelve hours. A digital thermostat is also helpful. The safety mechanism helps to ensure that the unit is never knocked over. Of course, each of these is UL listed. Click Here to Read More about Lifesmart. Defiantly one of the best infrared heaters I’ve ever seen. I did notice it heats a bit less when the filter has some dust in it so remember to clean every once in a while, it’s very simple to clean up. It has a very easy to work-with timer system that you can use. There’s 3 power levels to choose from with a super-saving feature that really helps you save on the electric bill and heat up your space. These heaters are perfectly capable of heating up to 1000 square feet of space. The durable construction helps to ensure longevity and years of use. An innovative blower technology ensures that the unit is capable of operating silently, with the noise levels at approximately 39 dB. By utilizing PTC technologies and infrared quartz tubing, the dual heating system is capable of producing a great amount of heat. The heater is equipped with three individualized modes including high, low and auto, which can help save energy. This unit, which is portable, is also accessible with a remote control. An electric thermostat is helpful for controlling the temperature, which can be adjusted from 50 to 86 degrees. The heater is equipped with two specific safety mechanisms. One helps to ensure that the unit doesn’t tip over, while the other prevents overheating. The heaters are UL listed for added security. I’ve done a lot of research before checking this one out and I can’t say enough good things about it. I became a fan of this infrared heater immideatly and it never dialed down. The automatic thermostats are very accurate. I recommended this one to my father in law and after a week he bought another one for his brother. He said that this is the best infrared heater he ever used. Of course, the LifeSmart has a number of other excellent heaters, including the Lifesmart 6 Element Large Room Infrared Quartz Heater. This one is even more powerful and suitable for heating a 1500 square foot of space. With six individual quartz elements, which are wrapped in metal, the heater actually has six independent heat exchangers. With this addition, the unit can produce increased heat. This heater is also equipped with the astounding Lifetime Air Filter for clean and healthy air. Although the heater utilizes 1500 watts of energy, you can flip on the Eco setting. Within this mode, the heater will only use 500 watts to heat up your home. This is an excellent setting for saving money and energy. Of course, the design of this unit is modern and attractive. It is made entirely of wood or Quakerstown dark oak. During the operation of the unit, the wood remains cool. This heater is very similar to the LifeSmart Power Plus, although it is smaller, more compact and produces a little less heat. Overall, the unit is smaller in size and only suitable for heating areas of 800 square foot. Still, the design, which is made of dark oak wood, is similar to the previously listed model. Of course, the unit is only fitted with three metal wrapped quartz elements, whereas the other one is equipped with six. Typically, this heater offers the same settings of operation as the Power Plus heater. For instance, it is equipped with an Eco setting, which only allows the heater to operate at 500 watts. As with other heaters from this company, this one comes with a timer, digital thermostat and a convenient remote control. With a totally compact size, this heater is designed for space saving and money saving. The unit is completely lightweight, which makes it very portable and easy to move about. With 1500 watts of power, the heater is suitable for heating up a space of 1000 square foot. PTC infrared heating elements help to ensure that the heater keeps your desired room completely warm. Aside from these features, this one offers an electric thermostat and a fan only on feature. With this feature, the fan will continue to circulate the air through the room. See Full Review of A5095 Eden Gen2 Pure Here. According to the manufacturer, the heater is efficient enough to heat up a space of 1000 square feet. As with many other heaters from this company, this unit is equipped with a dual heating system, which utilizes quartz tubes and PTC. The Dr Infrared Heater DR999 is presented with a nightstand design, which makes it suitable for any room or interior design. The furniture grade cabinet is beautiful and not an eyesore. Not only is this an attractive unit, but it’ll also provide you with plenty of warmth and comfort. The unit is equipped with an electronic thermostat. With this feature, it is possible to adjust the heat from 50 to 86 degrees. 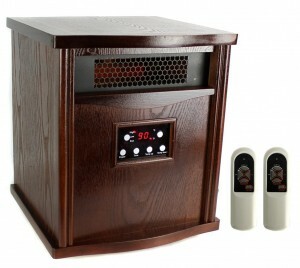 Read Full Review of Dr Infrared Heater DR999, 1500W, Advanced Dual Heating System Here. This heater is one of the most stylish heaters, which makes it one of the most popular heaters on the market. In fact, it is one of the top rated. Still, this is one of the most powerful heaters, which is capable of providing heat to a room of 2000 square feet. The unit is capable of warming an entire room from ceiling to floor. Surprisingly, this is an energy efficient model, which is capable of producing lots of heat, while using very little energy. 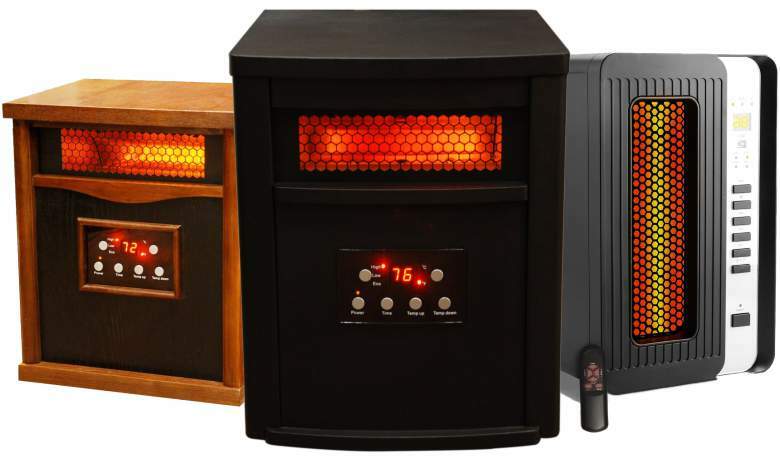 So, is it the best infrared heater? It depends, on what you’re looking for. Although it produces heat with infrared technology, the unit is fitted with a convection fan, which helps to circulate the air throughout the room. With this particular product, it is possible to program the temperature to your desires. A time and auto shut-off option will help to keep your home safe. An included remote control provides you with total accessibility and allows you to adjust the temperature from anywhere inside of the room. The product is capable of running on three individual modes of operation, with a built-in thermostat. With a beautiful and modern eco-friendly finish with dark oak, the unit is more than suitable for any room regardless of design and color scheme. Regardless of the heat output, the heater’s exterior will always remain cool, which makes it safe for kids and pets. If the heater begins to overheat or tip over, it will automatically shut off. A one-year warranty ensures that you’ll be provided with longevity. What Are Infrared Heaters and How Do They Work? 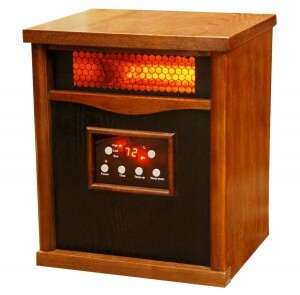 To generalize things, infrared space heater=- are units, which are capable of producing heat. Although the heat is not visible to the naked eye, it is possible to feel it on the skin. The objects nearby will also absorb the heat, which increases their temperature. In basic terms, this is how the unit is capable of warming up your home and objects within it. Basically, the sun works very similar to these heaters. Objects, which are directly in the sun’s light, will receive much more heat from the sun. These heaters work in a similar manner. Objects that are located directly near or in front of the unit will receive the majority of the heat. Overall, there is wide assortment of different infrared heaters, which offer numerous specifications. They can operate using unique power sources, including gas, propane and electricity. Of course, they’re available in many different sizes and designs. Each offers a wide range of controls, specifications and output levels. Typically, each heater will be categorized, within two unique categories, which will be described below. These heaters are best for individuals, who are attempting to save money, since they do not use a lot of energy. Still, they’re efficient for warming a spot or object. Typically, they’re normally compact and can be easily transported. These units can be used throughout the house, as long as they have access to a power outlet. In general, they begin heating up, as soon as they’re turned on. The biggest downfall of these units is the fact that they generally don’t produce a lot of heat. Therefore, they’re somewhat ineffective for warming up an entire room or big area. Still, they’re good for warming up your body, if you stay around the unit. These units are much more powerful and capable of heating up an entire room. In some regards, they’ll be able to heat up to a 1000 square feet space, with some covering even more area. Each will need to be plugged into a power outlet, in order to gain operation. Most will operate, at 1500 watts. Therefore, it is possible to save money, by leaving your 5000-watt central heater off and relying on one of these gadgets. What to Look for When Choosing an Infrared Heater? There are a number of different things that should be taken into account, before purchasing one of these heaters. Below, you will find the features that should be examined and judged to help make your decision. What Amount of Space Can be Heated? When you look at these units and try to find the best infrared heater for your needs, you will see that each has a heating capacity, which is generally categorized by square foots. It is possible to find heaters that range from 300 to 1000 square foot. This makes it possible to choose one that fits your room perfectly. When selecting a radiant heater, you should remember that this type of unit would not heat your entire room, but only the objects directly in front of it. If you’re intent on heating an entire room, you will need to choose something more powerful, such as a quartz room heater. 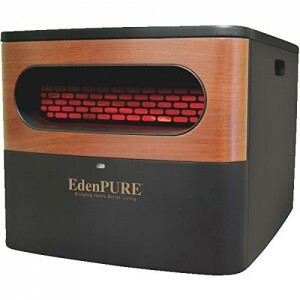 A radiant infrared_heater might be suitable, if you only want to keep your feet warm, while you work at your desk. It is also imperative to examine the weight and size of the object. If you’re lacking free space, you will want to make sure to take the time to choose something that is small and compact. A small unit, which is lighter in weight, will be easier to transport. Therefore, if you need something more portable, make sure to choose a unit, which is lightweight and smaller. Since these units produce heat using infrared quartz tubes and bulbs, they’re not going to be able to last a lifetime. Instead, each comes with a specified lifespan. In general, the longevity of any individualized unit will vary depending on the brand. It is possible for these to last anywhere from ten thousand to sixty thousand hours. Most manufacturers will provide this information, which is why it is pertinent to check it and use it to make the right decision. Warranties offer a tremendous amount of security for your purchase. Typically, infrared heaters will come with a factory warranty, which is at least one year long. However, there are some others that offer warranties for up to three years! Any type of product or heater is going to provide you with a specific list of pros and cons. This is especially true, when it comes to infrared heaters. In order to understand everything there is to know, you will find the benefits and disadvantages listed below. Nearly Instant Heat – Most heaters work, by increasing the warmth of the air in the room. With these units, it is possible to directly heat surrounding objects. They’re capable of hastily producing heat and releasing it at the objects nearby. When you’re entering your home from outside, you’ll be able to jump in front of the heater and instantly bask in the warmth. Silent – Since these heating units do not rely on fans, they’re capable of working almost silently. This makes them perfect for operation in noise-sensitive environments, such as your bedroom. Calming Warmth – These units operate using heating coils, which are wrapped in metal. Therefore, they’re capable of transferring the heat evenly. This helps to provide you with a calm and comfortable heat source that isn’t too harsh. Healthier Heat – Unlike other heaters, these are capable of heating up a room, without reducing the oxygen or adjusting the humidity content of the room. Therefore, you will not have to worry about static electricity. On the other hand, your skin will never dry out and your sinuses will not be impacted negatively. Eco-Friendly – These units are much more environmental friendly, since they do not release nasty toxins into the air. Therefore, you won’t have to worry about fumes or fuels or carbon combustion. More Efficient – Of course, there is a benefit of only warming a specific area and particular objects, since it helps to reduce energy. When using these units, it is possible to cut back on the amount of energy, by only heating the areas that truly matter. Therefore, they offer a much more cost-effective heating source. Little Maintenance – Overall, the maintenance with these units are slim to none, since you don’t have to worry about air filters or lubrication. The only thing you need to do is clean the reflectors from time to time. Modern and Stylish – Almost every one of these units is unique and stylish, with a modern design. Some of the models mentioned above are finished with beautiful wood. Therefore, you will be able to use these heaters within your home regardless of the interior design. On the other hand, many of them are portable and very compact, which makes them easily transportable. Heat is limited – In most cases, infrared heaters cannot warm up the entirety of a room, since the heat travels in one direction. In order to receive comfort from these units, you’d have to sit right in front of it. Still, there are some units that are a little more effective and capable of heating up an entire room. Heat Disappears, When Turned Off – As soon as one of these units is turned off, the heat will stop. Since they do not heat up the air, they need to be turned on at all times, in order to continue producing heat. As soon as they’re switched off, the room’s temperature will begin to cool. In general, these products are considered to be safe for numerous purposes including commercial, as well as residential use. Still, it is imperative to take precaution, when using one of these units. In order to ensure your safety, it is best to keep combustible objects away from the heater. On the other hand, remember to follow all of the instructions included. This information should include operation instructions, as well as maintenance information. The infrared lights, which are used to generate heat, are safe for human use. 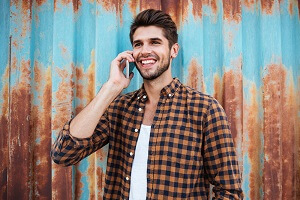 The word radiation may very well scare many individuals, but it shouldn’t. Infrared radiation is much different than ultraviolent radiation. Therefore, the former is safe and shouldn’t give you concern. When selecting a heater, it is imperative to ensure that you choose one that offers the most safety features. It is helpful and offers a little peace of mind to choose a heater, which is equipped with tip-over protection and overheating protection. All of the information above has been collected and put together based on our experiences with these individual products, as well as many others. The models listed above have received the best feedback by real individuals. Their overall features, designs and performances make them the best of the best. 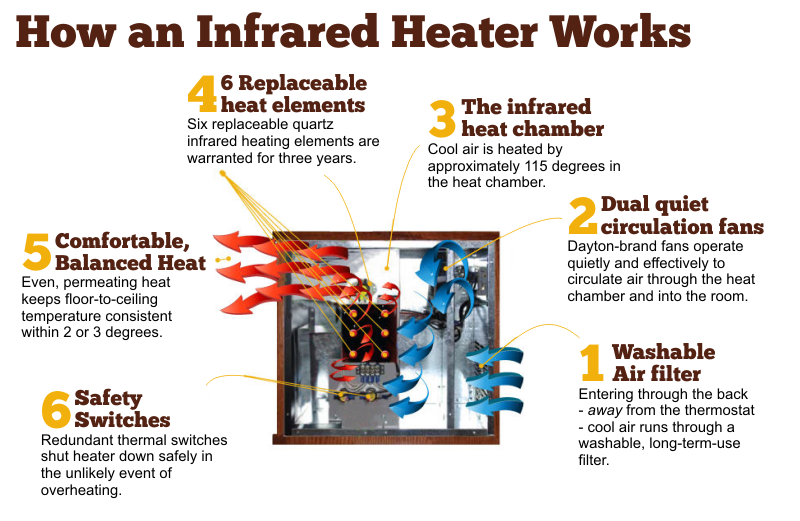 Therefore, we hope this information can help you purchase the right infrared heater.